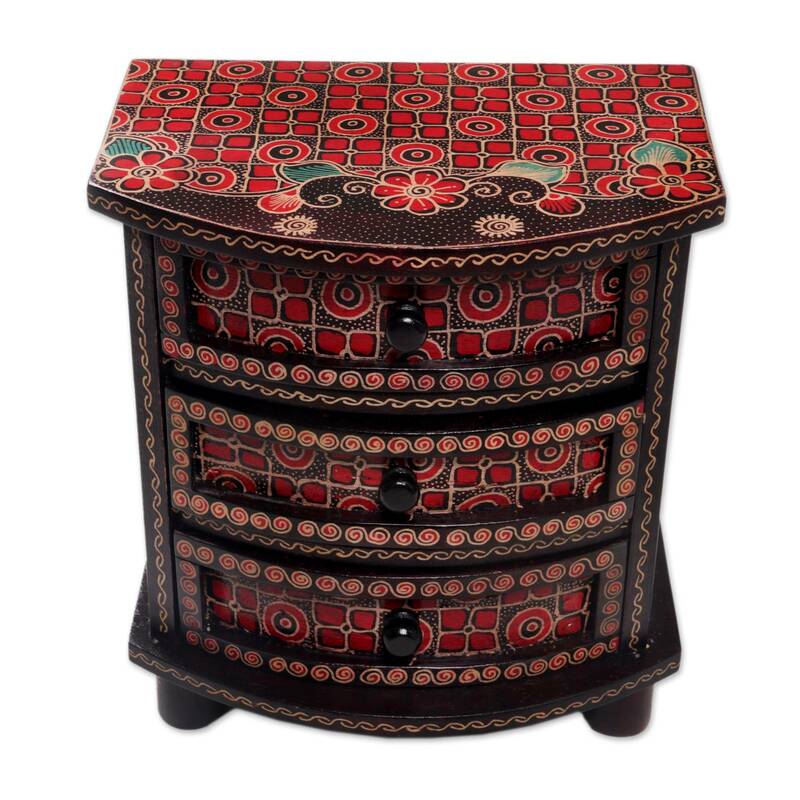 By Gunadi, this beautiful wood batik jewelry box is crafted by hand in black, and red with cool green leaves. 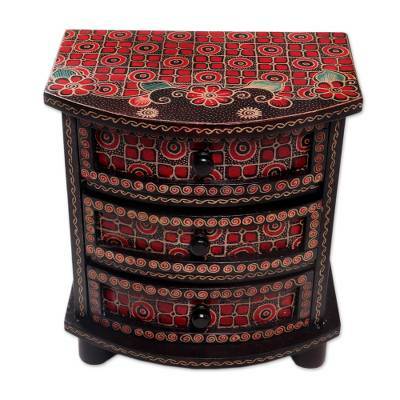 The front, top and sides feature the kawung motif, one of Java's oldest batik designs once reserved for the royal family. Kawung depicts a cross-section of the aren palm fruit as four pointed ovals connected at the center. 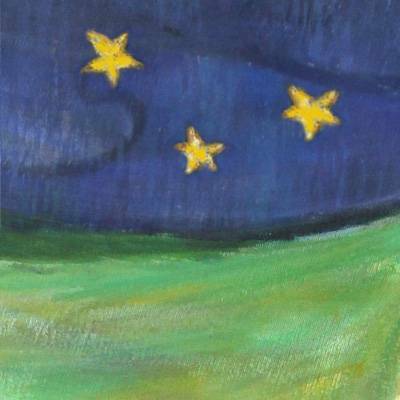 The cross it forms is believed by some to refer to the universal energy source. Three convenient drawers keep things organized. Artfully crafted by Gunadi from Indonesia. 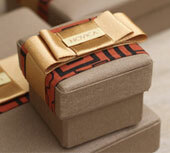 "In Java... batik is closely associated with traditional ceremonies. There are philosophies contained in the art of batik." 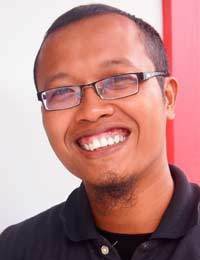 "I was born on February 16, 1981 in a small village not far from the city of Yogyakarta, which is rich in art and philosophies. I am a married man with one son, and this requires more responsibility in making a good plan for his life in the future. 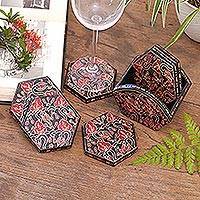 "In Java, arts and crafts are typically used in custom events or a special collection, and batik is closely associated with traditional ceremonies. 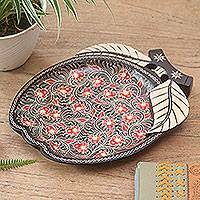 There are philosophies contained in the art of batik. "My parents taught me about working hard to reach my dreams and to always think positive, to be wise and help others. The spirit of an entrepreneur grew in me, and I decided to resign from the company where I worked. The wood batik artisans in my village were unemployed, as the company where they worked was closed. Most of them are women, and I began organizing them. Now, thank God, they can work at home and have more time for their families. 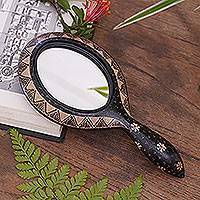 "We work on wood, with manual tools for the batik process. The wood is easy to find, but the batik process takes lots of time. 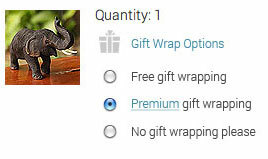 We were once in a difficult situation when we got an order for a thousand pieces. But luckily, our client knew well about batik and how difficult the process is. So he gave us good tolerance for colors and pattern shapes. 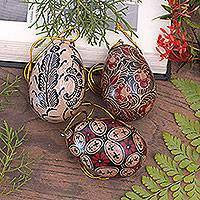 "We craft wood batik ornaments, accessories and décor with the best quality we can, and incorporate our traditional batik culture into our designs. 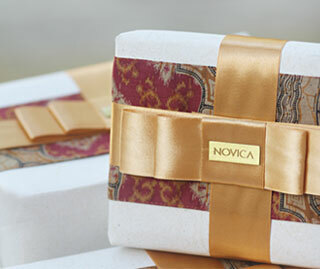 By joining Novica, I hope people around the world will know better about us and our Javanese batik culture."